The 8-seater Chesterfield minibus hire is the smallest vehicle in our fleet, but also among the most popular ones. 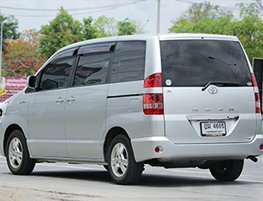 Small minibus such as our 8-seaters has an inherent advantage of being able to transverse narrow and crowded roads with ease. These vehicles can also take U-turns easily, to take deviations and alternative roads in the event of a traffic congestion ahead. The drivers who comer with the minibus hire are experienced hands, and we further train them in safe driving best practices. The small 8-seater Chesterfield minibus hire also offers exclusivity. It offers an economical option for small groups of friends and families to travel comfortably, for shopping trips, visiting racecourses, night out revelries, airport transfers, birthday parties, and a host of other purposes. Our 8-seater minibus comes fully loaded with accessories to enhance the passenger's comforts. All our vehicles have air-conditioning and the latest music systems in place. As a matter of policy, we always replace our vehicles, once in six years, and thereby offer the latest accessories, and safety features. We offer the lowest rates in town for our Chesterfield minibus hire services. The best vehicles, backed up by the best service means we offer unbeatable value. This is the key reason we have a large number of regular groups, who always avail our services, and recommend us to others.